Lewis Franklin “Lewie” “Big Lew” Bevington, 71, of Millersburg passed away early Saturday morning, June 9, 2018, at LifeCare Hospice, Wooster, surrounded by his family following an extended illness. Funeral services will be 11 a.m. Tuesday, June 12, at St. John’s Church of Millersburg with Perry Caruso, David Martin and Pastor Tim Anderson officiating. A private family burial will take place in Killbuck Cemetery, Killbuck. Friends may call from 4 to 8 p.m. Monday, June 11, at the church. Those wishing to share a memory or make online condolences may do so by visiting www.alexanderfhinc.com. Family suggests memorial contributions be made to the Triway Athletic Boosters, 3205 Shreve Road, Wooster, Ohio 44691; to the West Holmes Athletic Boosters, c/o Rea & Associates, attn: Zac Morris, 212 N. Washington St., Millersburg, Ohio 44654; to the Hiland Athletic Boosters, P.O. Box 268, Berlin, Ohio 44610; to the Holmes County Sports Hall of Fame, P.O. Box 46, Millersburg, Ohio 44654; or to LifeCare Hospice, 1900 Akron Road, Wooster, Ohio 44691. Lewis was born Nov. 7, 1946, in Millersburg and was the son of Clarence and Lillian (Lang) Bevington Jr. He married Mary M. “Peggy” Gallion on Dec. 16, 1967, and she survives. Lewie was a 1964 graduate of Killbuck High School, was a graduate of Ashland College in 1968 and received his master’s degree from the University of Akron. He was a member of Ashland Eagles football team and was honored as being part of the Dirty Dozen undefeated Eagles team in 1967. He was president and a member of the Holmes County Sports Hall of Fame. Lewie was an educator his whole life. 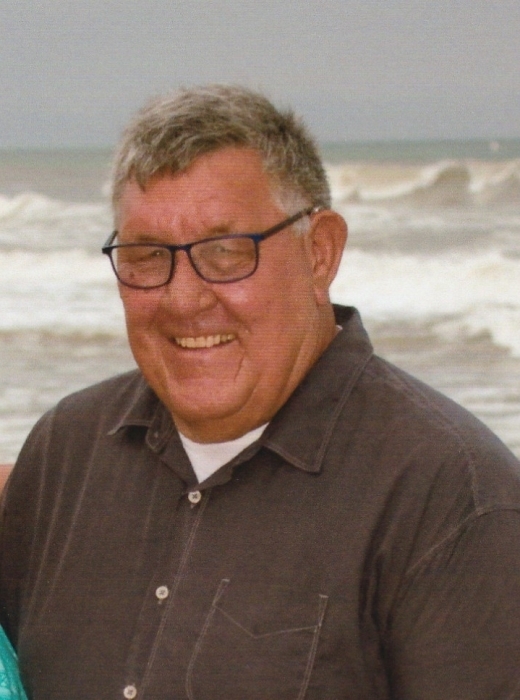 He was a teacher and coach at Triway High School; was principal of Triway High School, Franklin Township Elementary and Wooster Township Elementary; and was superintendent at East Holmes Local, Garaway Local and also the Holmes County Training Center. Lew loved driving volunteers and patients to and from appointments at Joel Pomerene Hospital in his retirement. Papa cherished each and every one of his 11 grandchildren, five of whom were named after him. He planned each day around attending their school and sporting events. He was very proud to take the entire family to North Myrtle Beach on vacation for the last 25 years. He was loved by all and will be deeply missed by his entire family. Surviving in addition to his wife Peggy are four daughters and their families, Tamara J. Martin (David) of Clearwater Beach, Florida, their children, Kyle (Jess) and Cameron (Holly); Angela M. Carmichael (Sean) of Wooster, their children, Derek, Parker and Zoë; Lisa M. Macaulay of Millersburg, her children Maty, Keaton and Boden; and Erica J. Camacho of Millersburg, her children Manny, Quincy and Joey. He is also survived by two brothers, Larry (Sue) Bevington of Frankfort, Kentucky, and Kim (Jan) Bevington of Wellington. Special to Lewie are Ronnie and Pat Bevington, Perry and Donna Caruso, Jo, Lori, and Jean, Dan and Sharon Workman, Mr. Will Beachy; and numerous nieces and nephews.